selectively thinning the canopy from the top down. If you have doubts about whether or not your trees should be thinned, have Happy Trees take a look. If your home or valuables are surrounded by large trees, Thinning Out may be something to consider. We offer wind sail reduction – a method of pruning in which the goal is to reduce wind resistance in a tree’s canopy. The idea is that by selectively reducing the number of branches within the canopy, wind will be able to pass through the tree and will not be blown over by the strong gusts that occasionally come to the northwest. Wind sail reduction is also a way to better safeguard large branches withing the canopy. By thinning some of the smaller branches and twigs off the larger branches, there will be less wind force applied to the individual branches, and allowing them to withstand the wind’s forces better. Care has to be taken to remove the right amount of branches and foliage. Too little branch reduction will not produce the desired wind resistance reduction, but removal of too many branches and foliage may stress the tree. Correct wind sail reduction will remove 10% to 25% of branches and foliage. If a tree has dense foliage before wind sail reduction, the amount removed will be closer to 25%. If a tree has relatively sparse foliage, and wind reduction is still appropriate, only 10% or the live foliage would be removed. On these type of trees, removal of dead wood (Dead Wood Pruning) might be a better option than a wind sail reduction. 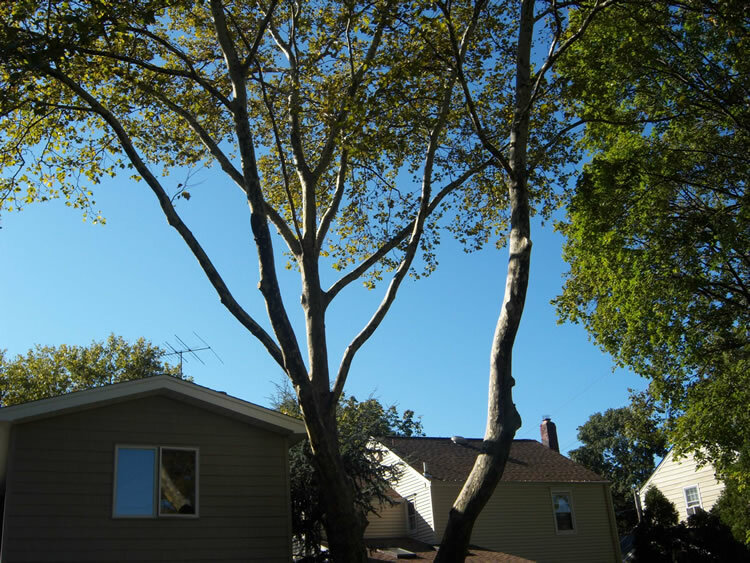 The tree experts at Happy Trees can help you make a decision on the best course of action for your trees’ health and the safety of your home.